National Carriers Inc. has recently awarded a one million mile safe driving award to livestock relocation specialist Dean Brown. 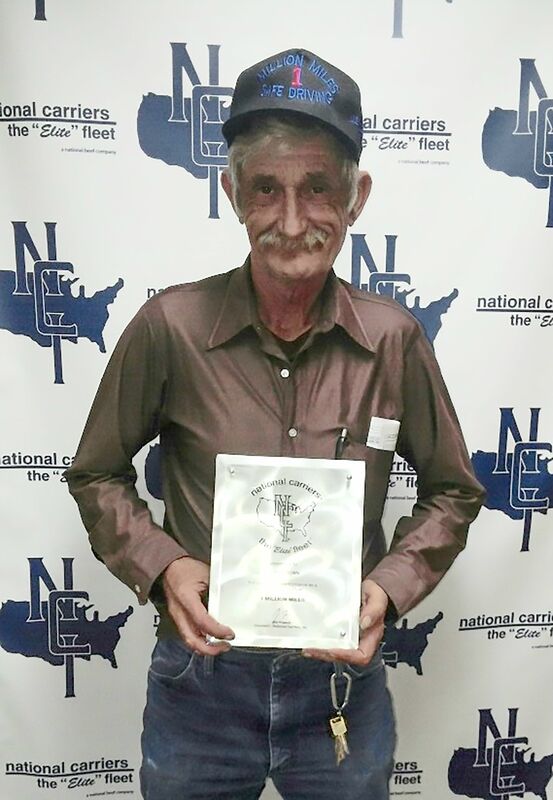 He has driven over one million accident free miles while working within the livestock division at National Carriers. Brown received an embossed plaque embroidered hat and a personalized embroidered winter jacket during the recognition ceremonies. The owner operator has been a driving professional at National Carriers since July of 2005. Working within the Livestock Division Brown is a proven leader in safe professional driving habits. He makes his home in Fritch TX.